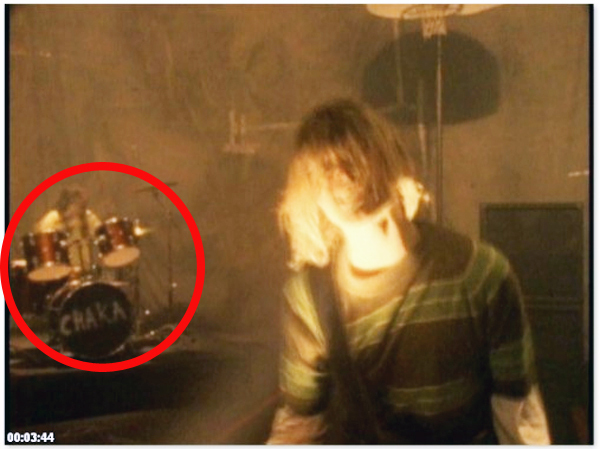 Grohl wrote “CHAKA” on the drums as a tribute to West Coast graffiti artist Daniel Ramos who used the tag name “CHAKA” while becoming one of the most prolific graffiti taggers in history. 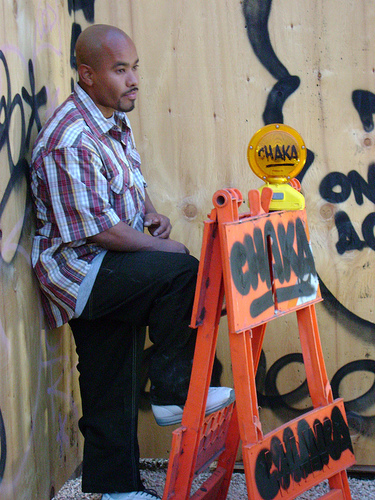 It is said that he tagged “CHAKA” fifty thousand times at different location and caused a half a million dollars in damage. He was caught, tried, and convicted in 1991, around the time of the “Smells Like Teen Spirit Video” shoot. A little extra tidbit…Ramos stole the name “CHAKA” from this character from the 1974 TV show “The Land Of The Lost“. 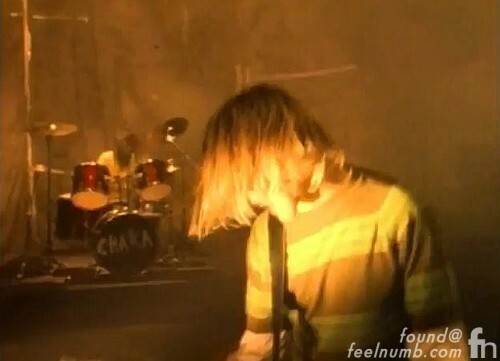 Cool photo, I love Nirvana, Kurt CObain, and Dave too, I still follow him, I still cheer FF.